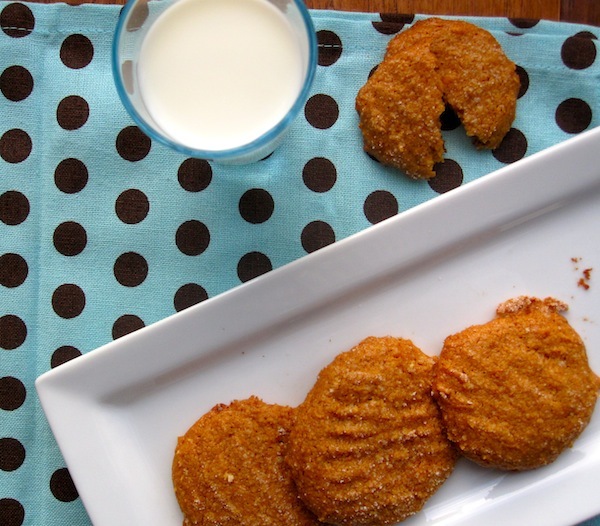 Make these cookies and share them with someone you love. Position the racks to divide the oven into thirds and preheat the oven to 350° . Beat the butter on medium speed for a minute or two, until smooth and creamy. 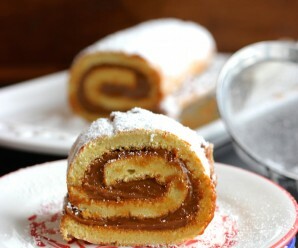 Add the dulce de leche and beat for another minute. Add the sugars and beat for 3 minutes more. Add the egg, beating for 1 minute more. Scrape down the sides and the bottom of the bowl and, on low speed, add the dry ingredients, mixing for about 2 minutes. The dough will be very soft and mushy. Pour the ½ cup of sugar onto a small plate. Roll the dough between your palms into balls and drop the balls, a couple at a time, into the sugar. Roll the balls around in the sugar to coat them, then place on the baking sheets, leaving 2 inches between them. Dip the fork in the sugar and press the tines against each ball until you have a flattened round. Bake for about 12 minutes, rotating the sheets from top to bottom and front to back at the midway point. The cookies should be a little soft. Let the cookies rest on the baking sheets for one minute before transferring them to the cooling racks. Cool to room temperature. 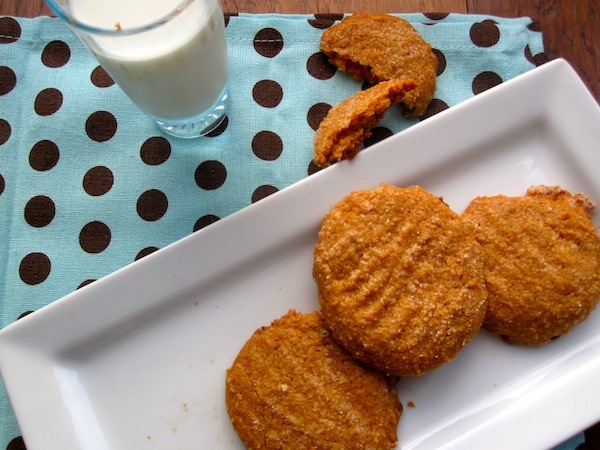 my kids and husband ate these so fast i only got to eat one! 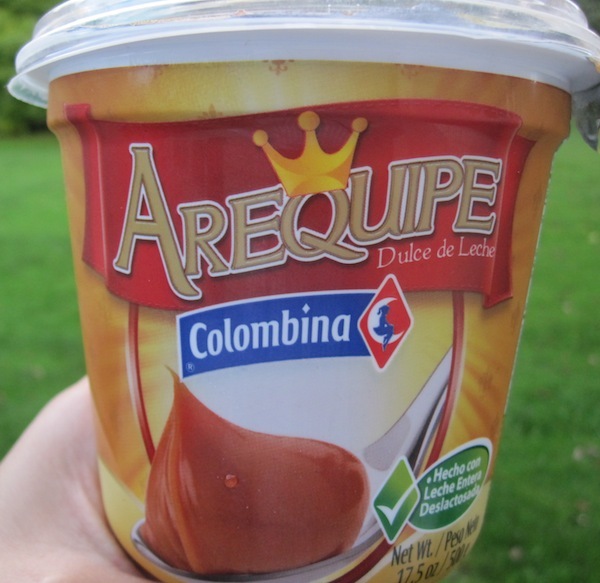 jajaja, we looove arequipe, great recipe thanks!!!!!!!!!!! Never, never, never. Please send some my way! 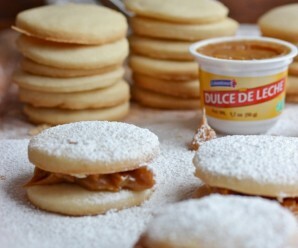 these are the first dulce de leche cookies i’ve seen, erica–they look amazing! 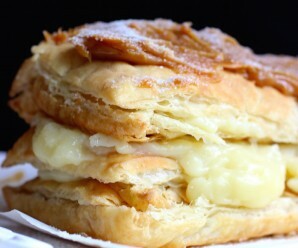 I would like to make this recipe but with white whole wheat flour. Do you think that I can substitute the normal all-purpose flour? I would wait anxiously for your answer. Thanks in advance! Angelica- you can try it and let me know. It sounds interesting! I’m a high school student, and I take Spanish class. We are now doing a project for the world language week which we need to choose a Spanish-speaking country and introduce it. The important part of this project is to make some food which they have in that country. And I found this website. Thank you so much for sharing all these recipes!! I believe I will make some great Colombian food. By the way, may I ask how many cookies will a recipe make?